When crime, drugs and violence spill over from the streets into the schools, providing a safe environment becomes increasingly difficult. Gunfights replace fistfights. Creating a safe place where children can learn and grow depends on a partnership among students, parents, teachers, a well as other community institutions. Should settle arguments with words, not fists or weapons. Report crime or suspicious activities to the police, school authorities or parents. Take safe routes to and from school and know good places to seek help. This is an exercise parents should do with children before the school year and rehearse throughout the year. Stay away from people and places where drugs and or alcohol are being used. Students should get involved in school anti-violence activities. If there are no programs, start one. Work with children to emphasize and build their positive strengths. Teach children how to reduce their risk of being victims or crime. Help children to learn nonviolent ways to handle frustration, anger and conflict. Become involved in school activities. Help out in the classes. Work with other parents and your child's teachers. Develop consistent disciplinary policies, good security procedures and a response plan for emergencies. Set safety objectives and work with other staff and parents to assure the success of the objectives. Train school personnel in conflict resolution, problem solving and crisis intervention. 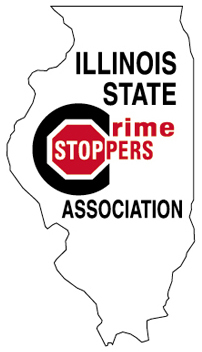 Work with students, parents, law enforcement and community groups to develop a crime prevention plan for your area. Invite law enforcement to participate in school activities and talk with students about crime prevention, drug abuse and other problems. Church groups and community based groups can provide counseling, learning programs, school watches and other crime prevention programs. Local businesses can provide apprenticeship programs, participate in adopt-a-school programs or serve as mentors to area students. Teachers and other school officials can attend conflict-management courses and develop violence-prevention curricula.